Students today have always had technology in their lives, so many teachers assume their students are competent tech users – more competent, in fact, than themselves. In reality, not all students are as tech savvy as teachers might assume, and not all teachers are as incompetent as they fear. Even when students are comfortable using technology, they may not be using it appropriately. Likewise, educators of all skill levels may not understand how to use technology effectively. Both students and teachers need to become members of a digital citizenry. 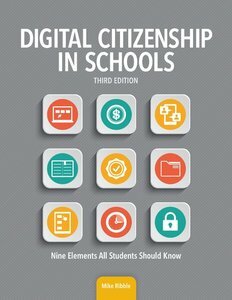 In this essential exploration of digital citizenship, Mike Ribble provides a framework for asking what we should be doing with respect to technology so we can become productive and responsible users of digital technologies.